There will a ________________(内容) at/in________________(地点) on___________(时间). We would be honored to have you there with us. The occasion will start at ___________(具体时间). This will be followed by a _______(进一步的安排). At around______(时间),____________________________(另一个安排). I really hope you can make it. RSVP before ____________(通知你的最后期限). ①_____________(开门见山提出事件/活动、地点、时间).②It would be pleasant/honored to have you here. ③During the party/conference, we will have lots of activities you will be interested in. ④First, ____________(要举行的活动内容一).⑤Second, __________(要举行的活动内容二). ⑥I know/believe that you will be very interested in_____________. ⑦First/For one thing, _____________(受邀请人参加的理由一).⑧Second/For another, _____________(受邀请人参加的理由二).⑨The conference/party would not be complete without you! ⑩The party/conference will begin at 时间and we do hope you can come. I would also like to request ________________________(提出进一步的要求). I am sorry for any inconvenience I have caused. Thank you for your attention to these requests. 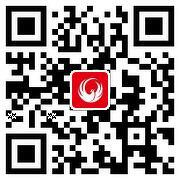 If you have any questions, do not hesitate to contact me at____________(电话号码). I look forward to a favorable reply. ⑦For one thing, _____________(请求的原因一);For another, _____________(原因二). ⑨ I shall be much obliged to you if you _____________(对收信人的期望). ⑩Thanks for your king consideration and Ilook forward to receiving your earliest reply. I am_______________________. (自我介绍) I feel bad to trouble you but I am afraid that I have to make a complaint about_______. The reason for my dissatisfaction is ______________(总体介绍). In the first place,_________________________(抱怨的第一个方面). In addition, ____________________________(抱怨的第二个方面). Under these circumstances, I find it ___(感觉) to ____________________________(抱怨的方面给你带来的后果). I appreciate it very much if you could_______________________(提出建议和请求), preferably __________(进一步的要求), and I would like to have this matter settled by ______(设定解决事情最后期限).Thank you for your consideration and I will be looking forward to your reply. Directions: While your family was on vacation, your friend, Cathy looked after your dog, smart. Now you came back, write a letter to her to show your gratitude. Your letter should be no less than 100 words. You don't need to write the address. Don't sign your own name at the end of the letter, use Emily instead. I am writing to express our heartfelt thanks for taking good care of smart while we were on holiday. He was such a happy dog when we got home; we knew he must have had lots of loving attention. When we used to pick up from the kennel he would whimper and carry on for hours. You not only saved us some money, you also spared us the worry of how he was doing while we were away. Your kind help is very much appreciated, not only by smart, but also by our whole family as well. Directions: one of your pen friends, John, will be visiting your city. However, for some reasons, you can not meet him at the airport on time. Write a letter asking to wait for you at the airport and tell him how to recognize you. Your letter should be no less than 100 words. You don't need to write the address. Don't sign your own name at the end of the letter, use Alice instead. I am eagerly looking forward to your visit to our city. After all these years of writing to each other, I can not wait to see you. However, I regret to inform you that I will not be able to meet you at the airport on time. The reason is that your flight will arrive early in the morning, and the earliest I can reach the airport will be about an hour after you land. Will you please wait for me in the arrival lounge? You can have breakfast while you wait. By the way, as we have never met I must tell you home to identify me: I am of 165cm tall and have a long hair. In addition, I will wear a white skirt and carry a China Daily at hand. Hope we can meet soon. Directions: Someone put forward a proposal to adopt the “punch in” system in her memo in June 12, 2006. Write a memo to her with the information below. Your memo should be in no less than 100 words. This is further to your memo dated back to June 12, 2006, in which you proposed that the employees adopt the “punch in” system. I fully agree with you that we should take measures to increase the productivity and that we would a tighter control over the employees if the “punch in” system is adopted. However, honestly speaking, I don't think that adopting a tighter system will increase productivity. The most effective way to increase productivity, in my opinion, is to give the employees more incentives to work. I think we could further discuss other possibility of achieving this goal. Your consideration of this suggestion would be highly appreciated. Directions: Your friend Jack has got his master's degree. Write a letter to show your congratulations. Your letter should be no less than 100 words. You don't need to write the address. Don't sign your own name at the end of the letter, use Wang Li instead. Heartfelt congratulations on your graduation from the Graduate School. I have good reasons to feel proud of you. I know the degree of master meant many years of assiduous study and hard work. Now you have come through with flying colors and high honors. I have heard of your excellent record in research and extra curricular activities. In this you took the right road to emerge as a fully developed young man to society. I take pride in your achievements and avail myself of this opportunity to extend to you my best wishes for your success and happiness. Directions: You are going to study at a foreign university. Write a letter inquiring about the specific information as regards accommodation, fees and qualifications there. Your letter should be no less than 100 words. You don't need to write the address. Don't sign your own name at the end of the letter, use Li Hua instead. 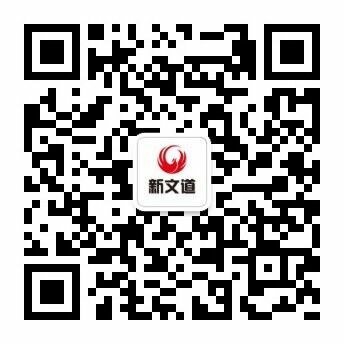 I am a Chinese student who wishes to pursue further study at your university. I plan to start my course next semester, and it would be highly appreciated if you would provide me with some essential information. First, how much are the tuition fees? Though I intend to be self supporting, I would be interested to know if there are any scholarships available for international students. Second, I wonder what qualifications I need to follow a course at your university, now I have got a master's degree in a Chinese university, is it enough? Third, as regards to accommodations, if possible, I would like to have a single room, but if single rooms are expensive, I would be willing to share. I am looking forward to your reply, and to attending your esteemed institution. You bought a digital camera in a store last week, and you have found that there is something wrong with it. Write a letter to the store manager to explain the problem, express your complaints and suggest a solution. Do not write the address. I venture to write to complain about the quality of the digital camera I bought last Friday at your store. During the five days the camera has been in my possession, problems have emerged one after another. For one thing, the screen is always black, making the camera no different from a traditional one. For another, the battery is distressing as it supports the camera’s operation for only two hours. Therefore, I wish to exchange it for another camera or declare a refund. I will appreciate it if my problem receives due attention. Therefore, I wish to exchange it for another … or I declare a refund. 4) details of the judges and awards. You should write about 100 words. Do not sign your own name at the end of the letter. 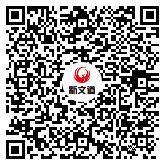 Use Department of Chinese Language and Literature at the end of the announcement. To improve students’ ability to speak Chinese and enrich after-class activities, the Students’ Union of Department of Chinese Language and Literature is organizing a school-wide Chinese-speaking contest to be held on Saturday next week (17 January) at the Students’ Auditorium. Those who are interested in taking part in it may sign up with the monitor of their classes before Tuesday next week. Five professors will be invited to be judges. The first six winners will be given awards. Everybody is welcome to be present at the contest.